By common consensus, Wesley Stace is among the most literary musicians working today. On Sunday, February 27th at 2:00 pm, Stace will discuss his new novel, Charles Jessold, Considered as a Murderer at Book Passage in Corte Madera. It's his first Bay Area event this year, and it's an event not to be missed. 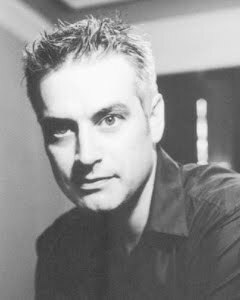 Under the stage name of John Wesley Harding, this British-born singer-songwriter / folk musician has released 15 critically acclaimed albums, while performing and recording with the likes of Bruce Springsteen, Joan Baez, Rosanne Cash, Lou Reed, and others. Harding has also appeared on Late Night with Conan O'Brien, The Late Show with David Letterman, and The Tonight Show with Jay Leno. Harding is artist-in-residence at Fairleigh Dickinson University in New Jersey, where he curates the Words & Music Festival. In May of last year, the Festival concluded with a historic and widely reported-upon event - "Jersey Rain: Robert Pinsky and Bruce Springsteen in conversation with John Wesley Harding." Stace is also an accomplished writer. He is the author of two novels, Misfortune (2005) and by George (2007). Misfortune was an international bestseller and was nominated for the Guardian First Book Award, shortlisted for the Commonwealth Writers Prize and the James Tiptree, Jr. Award, and named one of the Washington Post's Books of the Year. Similarly, by George was named one of the New York Public Library's "Books To Remember." Published last year in the UK, Stace's latest novel,Charles Jessold, Considered as a Murderer, has already received rapturous reviews. The Times Literary Supplement wrote that it "recalls one of the greatest and saddest novels of the period, Ford Madox Ford's The Good Soldier, and follows the tradition of great novels of imaginary music." It's also one of just two books singled out by Time Out New York as a potential "Best of 2011." This ambitious and intricate novel is set against a turbulent moment in music history, when atonal sounds first reverberated through the concert halls of Europe. 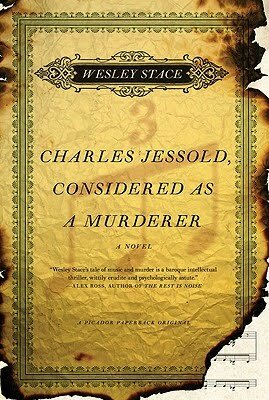 With Charles Jessold, Considered as a Murderer, Wesley Stace has crafted a dazzling story of counter-melodies and counter-narratives that keep you guessing to the end. Here what a few readers and critics have had to say so far. To order a copy of this exciting new novel by Wesley Stace, follow this link. Please note in the comments field if you would like an autographed copy. And please join us for a very special event on Sunday, February 27th. Who knows? Maybe this author and celebrated recording artist will play a song or two. of Harding's neo-folk tune, "Monkey and His Cat."